We are starting the second week of BM#54. I will be making Vegetarian Italian For Dinner for the next three days. This was quite a challenging theme for me. I wanted to come out of my comfort zone and try different cucine altogether. While Macaroni is quite frequently prepared at home, we have come to Indianized version that everybody likes. Hubby dear is not fond of creamy, bland food and to make him eat macaroni, we have ended up making it quite spicy. The Indian Tomato sauce version is quite a hit at home. After getting used to it, we thought it was high time we tried other pasta varieties. However we again ended up cooking it in the same old Tomato sauce versions. So my attempt in this week was to get myself taste different sauce and versions in pasta. For day 1, I made a Fusilli Pasta with Parsley Pesto and Roasted Broccoli. I had couple of other dishes planned for this week. Unfortunately I again had to postpone those dishes. 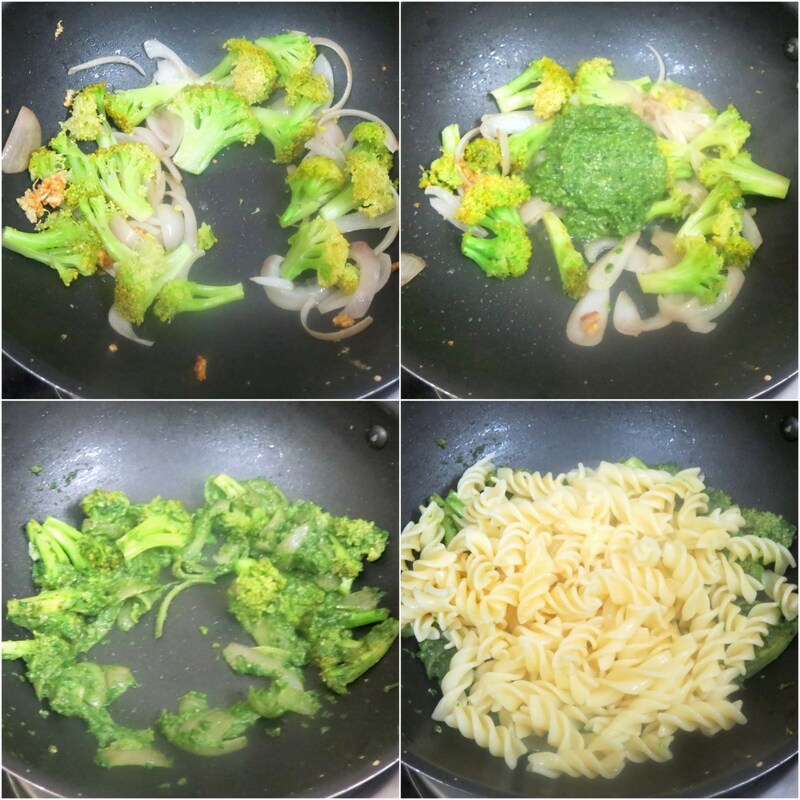 I wanted to make this pasta in an healthier option, hence the broccoli made its appreance. of course you might as if a dish becomes healthy just by adding a broccoli. It does for me as this is the first time I am eating broccoli, though its so well known for its health factors. Plus the fact that this dish uses just about couple of tsp of olive oil, everything on the whole makes it an healthy and filling meal. Cook the pasta al dante. Reserve a cup of water and drain the rest. Heat a non stick pan with oil, add crushed garlic and onions, saute well. Then add blanced broccoli, salt and pepper. Saute well till the broccoli is cooked well. Add the Parsley Pesto, combine and add reserved water a little for the sauce to get cooked. 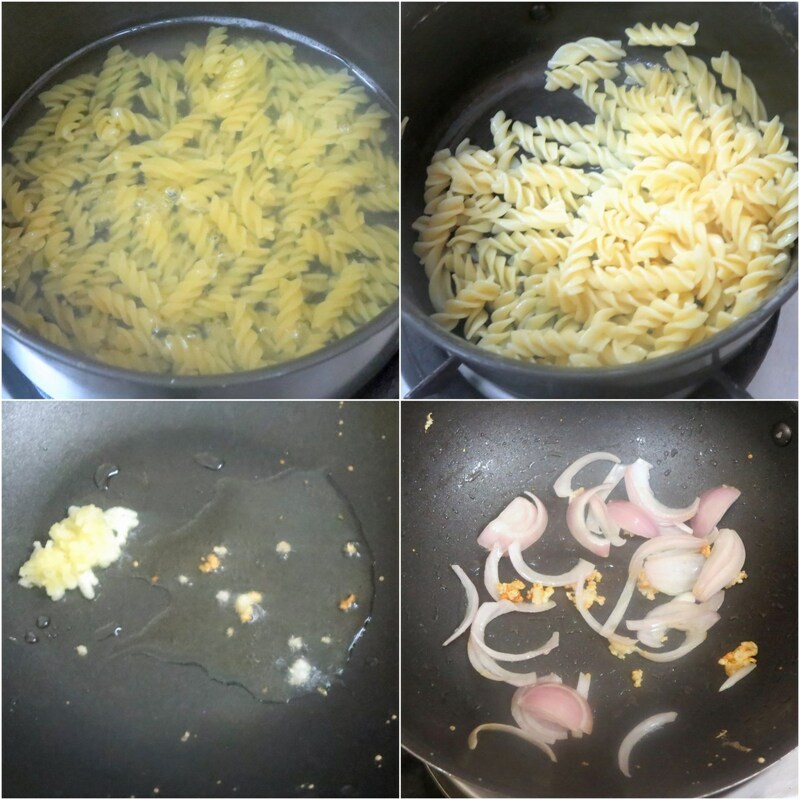 After couple of mins, add the cooked fusilli and combine everthing together. Wow , you made it really healthy ! I am actually amazed to know that you ate broccoli for the first time! The pasta has a beautiful colour and looks fantastic. I can imagine flavor and taste of this pasta with that pesto looks so beautiful with that green color. Pasta looks great with green color .. I haven't tried pastas much only basic ., good to know different pastas. It is the same here Valli. Hubby hates the bland dishes and I always make them real spicy. This looks a nice version of making pasta. Need to try at least for myself.. 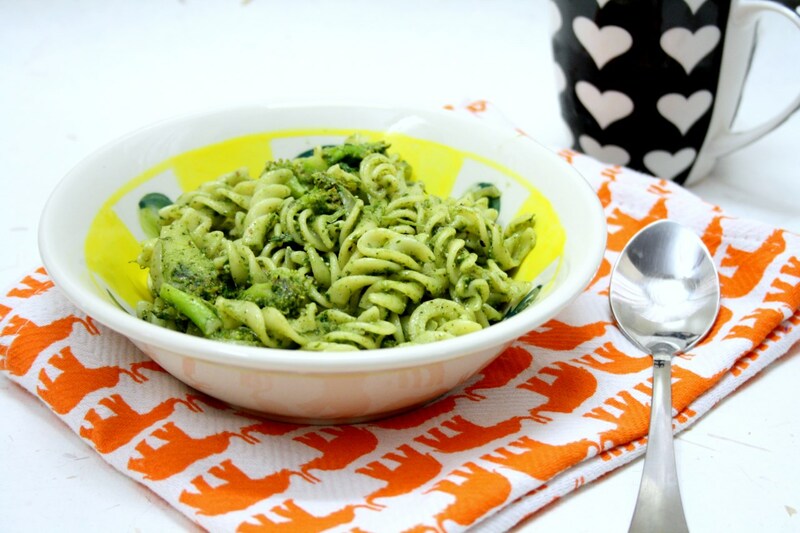 Pasta looks delicious with that parsley pesto. very inviting pesto pasta..looks vibrant and fresh.. I loved both the pesto and the pasta :-)) cute fussili shapes.. tempting ! Nice one Valli. It always is the case with us all right, Indianizing everything. 🙂 This dish is simple and nice. Very tempting and vibrant pasta. Somehow no one at home likes the fresh parsley. 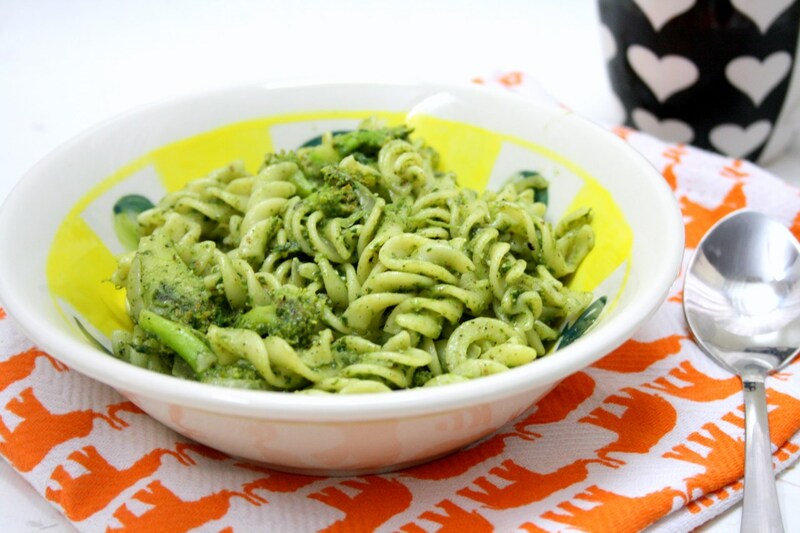 Fusilli in parsley pesto looks tempting. Eating broccoli for the first time and actually loving it the first time itself is a big achievement. 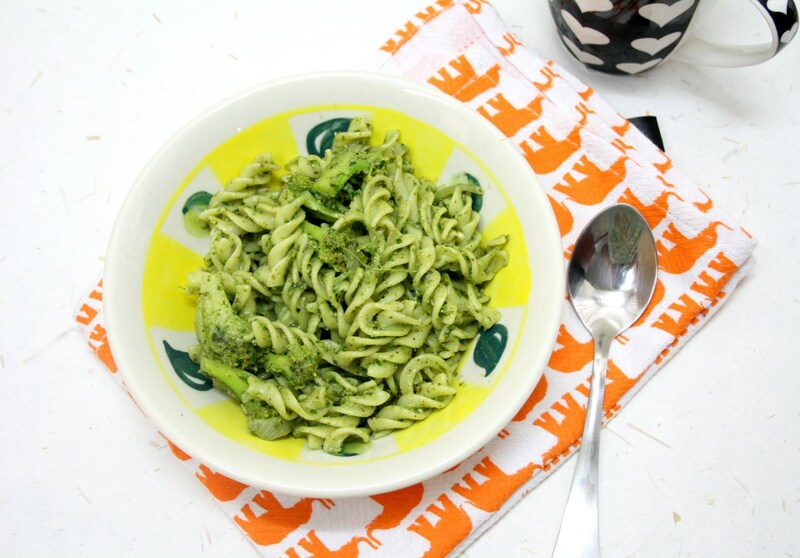 Love the combination of parsley pesto and broccoli in the pasta. Love that parsely pesto. Pasta looks so yummy with that green sauce. Perfect weeknight meal. Cant ask more, who can resist to this flavourful and irresistible pesto pasta..mouthwatering here.